Our Prince Kuhio Resort in the distance is surrounded by park to the right and ocean to the south and mountains to the north and a tropical garden and pool on the other side of the building. 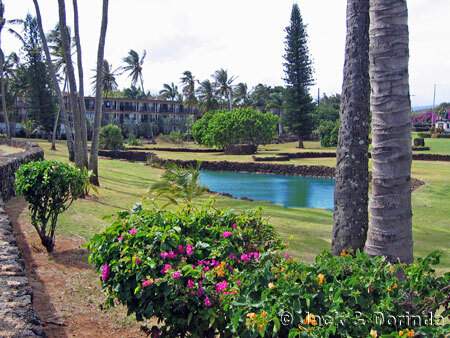 As you can see, Prince Kuhio Resort is a small complex nestled between a park and gardens and the ocean. It is quiet and friendly and the location is perfect. Looking the opposite way from the above picture. 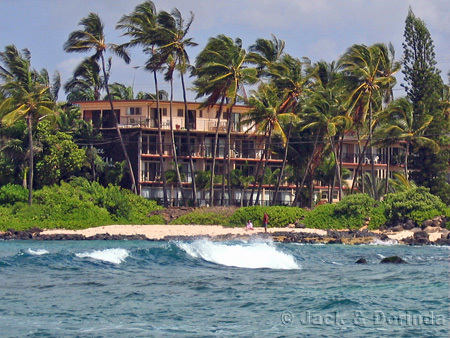 We look at the ocean through Prince Kuhio Park from Prince Kuhio Resort. The view to the ocean from the condos is unobstructed. 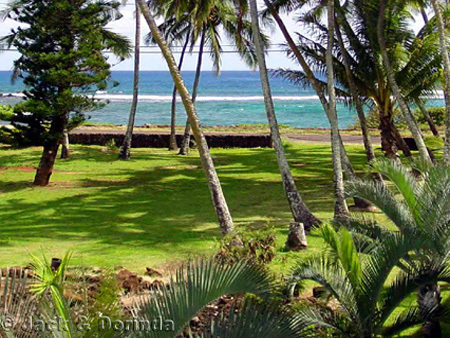 We took this picture from the East entrance to Prince Kuhio Park looking out over park of the park toward Prince Kuhio Resort. 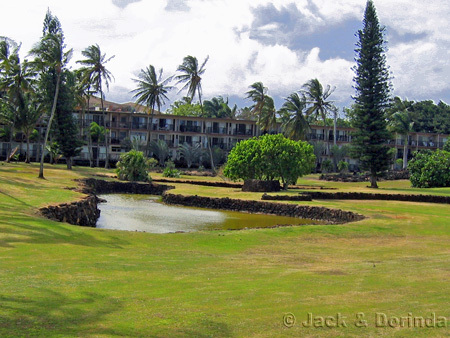 Another picture of Prince Kuhio Park looking toward Prince Kuhio Resort. 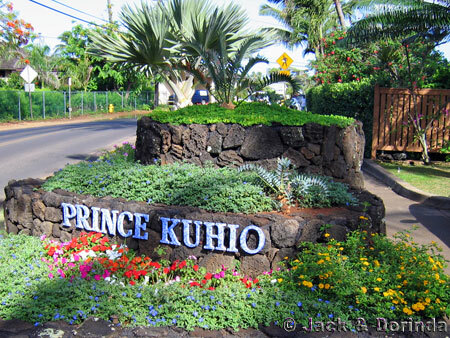 This is a picture of the entry to Prince Kuhio Resort from Lawai Beach Road. The beach access road dead-ends one mile up at Spouting Horn and the Allerton Botanical Gardens where Jurassic Park was filmed. 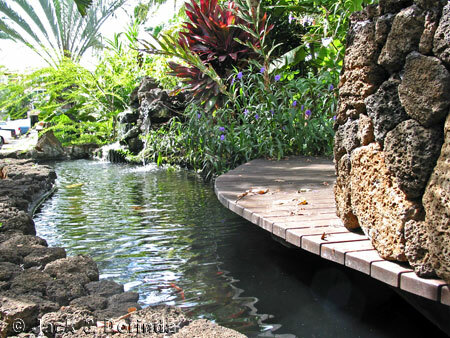 From the parking area in front, you walk over a bridge and pond to access the Prince Kuhio Resort tropical garden and pool area. 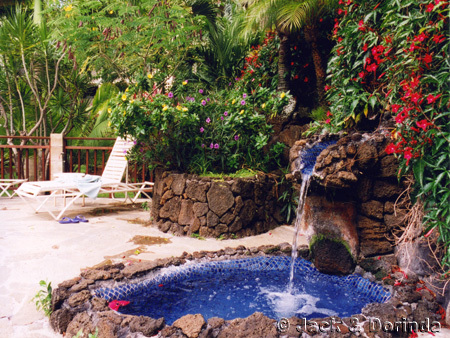 The tropical garden goes right up to the side of the resort. 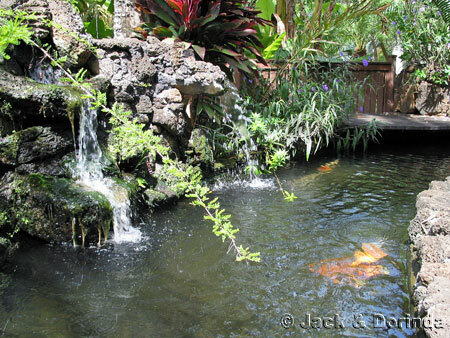 This picture is the pond again at the entry. 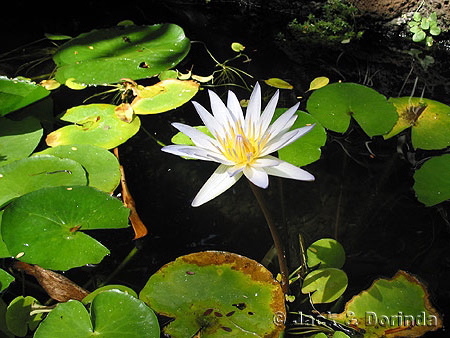 It is a beautiful pond that spans several pools at multiple levels. 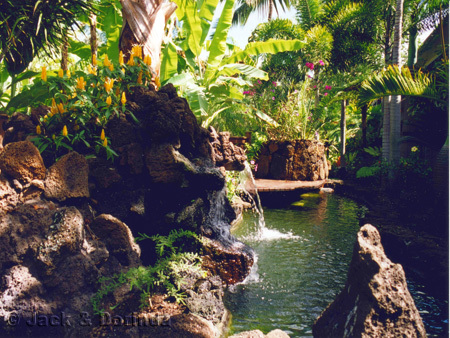 There are paths that go through the tropical garden where you will find a variety of Hawaiian flowers and plants. 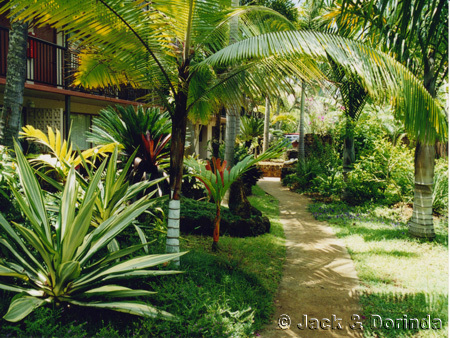 When you arrive, see if you can figure out how many different varieties of palm trees there are in the garden! 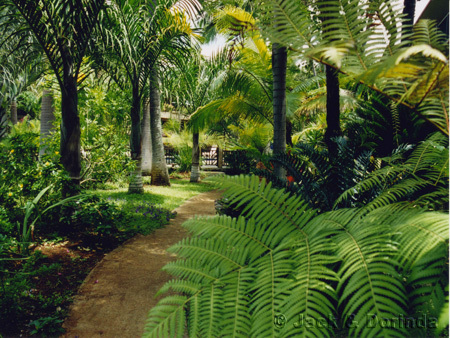 Another path through the tropical garden. This one leads to the pool area and BBQ area. 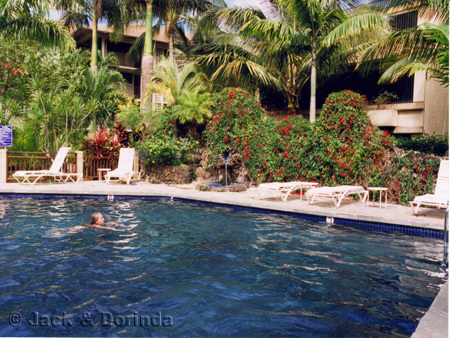 And of course, the pool area where a guest is enjoying the water. This cascading pool is at the edge of the swimming pool. It is nice to be able to hear the water fall while sitting around the pool. 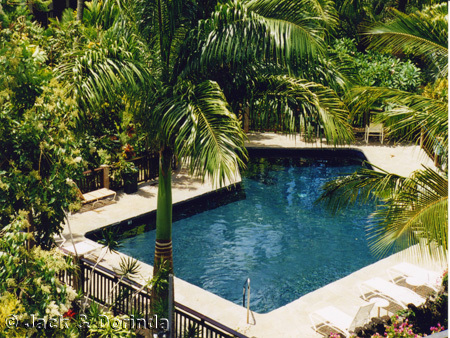 An arial view of the pool and garden at Prince Kuhio Resort.